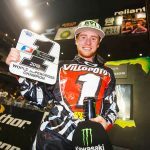 Ryan Villopoto claimed his first win of the 2013 AMA Supercross season and his first since the knee injury at last year’s Seattle round that kept him out of the 2012 AMA Motocross championship. The victory in front of 37,789 fans at Angel Stadium in Anaheim, Calif., made up for his disappointing 16th place finish two weeks earlier at the same site. 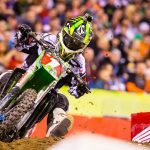 His Monster Energy Kawasaki teammate Jake Weimer held the early advantage in the main event, taking the holeshot ahead of the Honda Muscle Milk duo of Justin Barcia and Trey Canard. 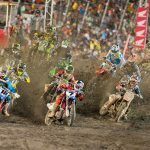 Second place went to Canard followed by fellow Honda rider Chad Reed. 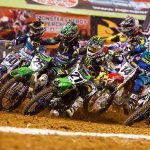 The TwoTwo Motorsports racer earned the final podium position, his first of the season, after taking advantage of a Millsaps tip-over. 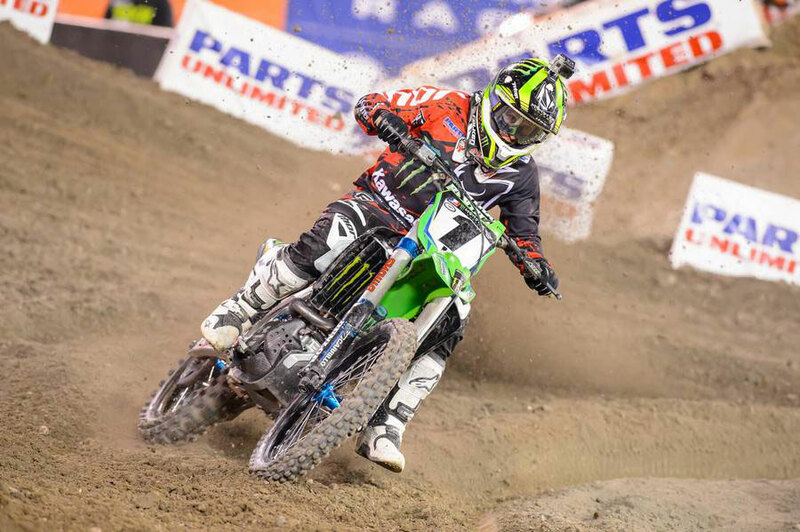 Despite missing the podium Millsaps leads all riders with 63 points after three rounds. Just 1 points separates first from fourth however, and with three different winners in as many rounds, the top of the standings will likely change considerably after next week’s round at O.co Stadium in Oakland, Calif.